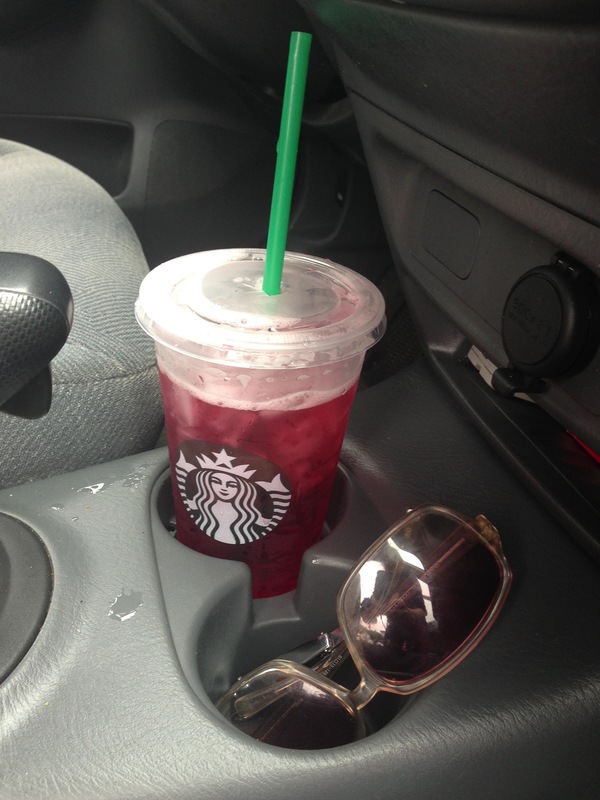 Today, I had a Starbucks passion fruit herbal iced tea. It reminded me of a pregnancy story…. 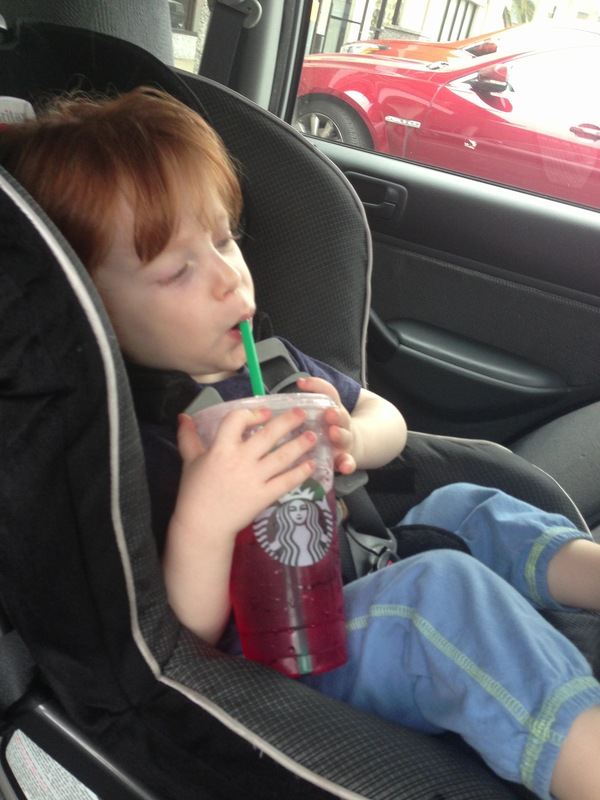 When I was newly pregnant, like a month or so, I discovered Starbucks passion herbal iced tea; no caffeine and very refreshing. I got it with no sweetener added. I’d been off caffeine for about 9 months and still missed coffee dearly, so finding a good beverage in the fragrant coffee house was important. I was writing with a writing partner so I was at Starbucks a lot for meetings. I drank this tea a lot and I even bought some to make at home. “Oh, you aren’t supposed to drink herbal tea when you are pregnant,” she said, totally unaware that I was actually pregnant too and I’d been drinking herbal tea for the entire, short time I’d been pregnant. I didn’t ask why, I just went into a spin; how could she think that herbal tea was bad for pregnancy? That was crazy? She’s wrong! I was upset and obsessed. Had I hurt my baby? Put it in jeopardy? How could herbal tea be bad for pregnancy? Some nice peach or raspberry leaf tea? The culprits were: anise, ginger, lime blossom, rose hip, catnip, chamomile, comfrey, ephedra (called ma huang in traditional Chinese medicine and banned in the U.S. since 2004), European mistletoe, hibiscus, horehound, Labrador, lemongrass, licorice root, mugwort, pennyroyal, raspberry leaf, rosemary, sage, sassafras, stinging nettle leaf, vetiver, and yarrow. Hibiscus is one of the main ingredients in my passion fruit tea!! I was really surprised. I knew so many things to avoid – unpasteurized cheese, deli meats, sushi, under cooked meat, alcohol and under cooked eggs (runny yolks) – but chamomile tea?? rose hips?? My OB confirmed it. She’s usually the type to say, “Oh, it’s fine,” so when she says, “Yes. Avoid herbal tea,” I listen. Spenser had a few sips. This entry was posted in PREGNANCY and tagged mom solo, pregnancy and herbal tea, raspberry leaf tea, single mom by choice. Bookmark the permalink. Ooops! I totally downed those through my whole pregnancy with my daughter, thankfully she is fine! I was drinking them again with this pregnancy, but looks like I’ll have to add another thing to the list of No-No’s. 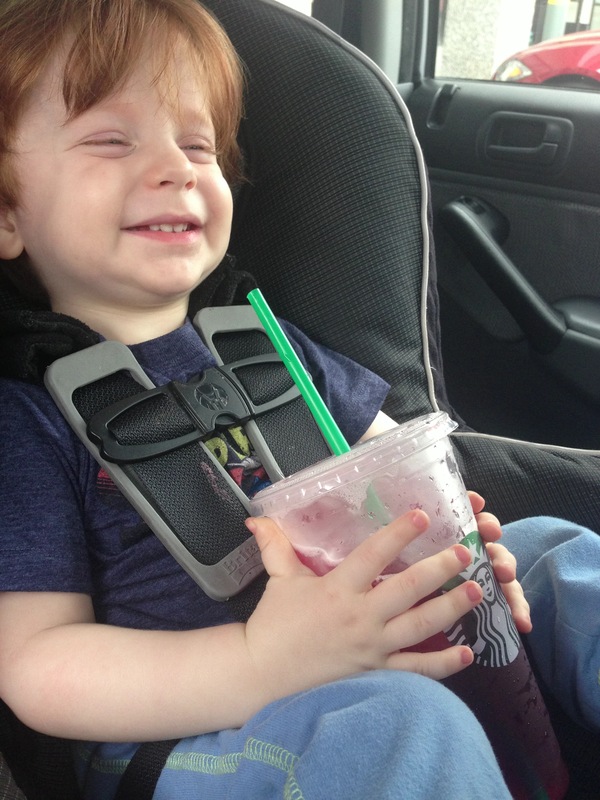 I knew about herbal teas, but didn’t think to look at the actual ingredients of passion tea to see if it was ok. It is so strange that not a lot of people seem to know about this tea thing… I don’t know why… maybe it’s not as dangerous? But better safe than sorry, I say. this is totally NEW news to me too! no coffee, no tea now??? what’s a pregnant woman to drink??? I know!! I stocked up on Trader Joe’s decaf teas and mint tea! !